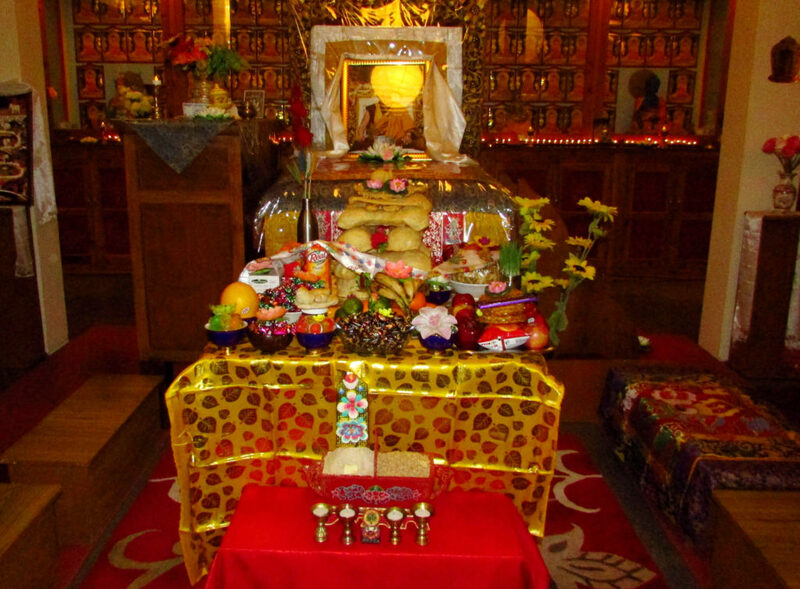 Thursday, February 7 – 6:30-8:30 p.m.
Losar is the Tibetan New Year’s celebration. We will celebrate on Feb 7th this year. Join us to experience the wonderful vibrations of group mantra chanting. Please come ready to recite the Heart Sutra, participate in a simple Vajrasattva purification practice (both in English & Tibetan), set Dharma intentions and recite mantras as a group to celebrate Losar. Whether you are a seasoned practitioner or new to Buddhism, this is a meaningful way to welcome in the Tibetan New Year. If you have a mala (prayer beads), please bring it. Please bring an offering like flowers, fruit, nuts, chocolate or baked goods for the shrine. If you would like to bring a snack to share afterwards, you are welcome to do so, but it is not required. Please RSVP if possible to Doreen at perley@maine.rr.com so we can have the correct preparations on hand! Thank you.